After 6 years of interesting journey exploring coffee, I have my own coffee company now. I am selling Espresso Machines and grinders, many different brewing devices, fresh roasted coffee beans and conducting Barista Training as well. I am now officially representing Highlander Coffee Pte Ltd in supplying their coffee and machines in Malaysia. The good, the great and the best place for coffee in Malaysia. I also want to warn and be warned of places that offer horrible or just plain bad coffee. I love coffee. I am a HOME BARISTA and one of the very few in Malaysia. My journey: To experience the best coffee available in Malaysia such as espresso and cappuccino or plain simple Aeropress-brewed coffee and poured-over. Problems: There aren’t many good espresso based coffee in Malaysia. What is espresso based coffee? Espresso, Cappucino, Latte and etc. Subject: Mostly I will discuss or report matters related to Coffee, Cafes, Espresso, Machines and Brewing Devices. Note: I don’t want to turn this into a “food blog”. There are already too many blogs about food. But I do love nasi lemak. I’ll report about them when I discover some really good nasi lemak. Hey. Thanks for dropping me a msg. Just returning the favor. You have a very unique site. Coffee only, and in Malaysia. Haha. I’m a Starbucks go-er. I’ll drop by once in a while and see if there’s any new coffee outlets that you’ll recommend. Till’ then, keep it up. I’ll be in KL and other parts of Malaysia next week; are there any decent places for a shot of espresso? I was google-ing coffee related topics and stumbled across your website. Well done; I commend you for searching for good coffee! I live in Sydney where good coffee is abundent, however are moving away next year and still want to be able to have good coffee so I’ve just purchased a lovely Rancilio Silvia machine and Rancilio Rocky Doserless Grinder. I’d recommend them to you (especially getting a GOOD grinder with your machine…do you have one? I couldn’t find if you’d written that). Is it easy to get fresh beans in Malaysia (i haven’t been there since i was 10) coz another option i’m thinking about is roasting my own beans in a popcorn machine; green beans have a fairly long shelf-life and are aparrently not to hard to roast in a popcorn machine with some other implements (google it and you’ll get some informative websites). Thank you for dropping by. One of my dream is to visit Australia. I heard they have the most espresso machine ratio to population. I’m actually budgeting for a decent grinder. I’m considering getting a Rancilio Rocky Doserless or perhaps the more affordable Sunbeam EM0480. I also read about roasting with a popcorn popper but I haven’t come across any in Malaysia. The only one available are those big one used by cinema operators. There are many things we cannot get easily in Malaysia. I cannot import arabica green beans too. Need a permit to do so. Taxation for home machine and grinder is also very high. Really ridiculous. So, where are you moving to? I’m one of a coffee lover from sabah and also looking for specialty coffee in malaysia. Now I keep practice making espresso and latte art everyday. It is really great to know your site. Are there many coffee lover in KL? Hope can learn more from you. What is your budget for the grinder? The one you mentioned from breville is not a good grinder. Basically, do not get any “BLADE” grinder. Let me know how much you are willing to spend and I will recommend one for you. But please, don’t tell me the budget is less than RM 300, ok.
I’m also saving up money for a decent grinder. hahaha i think u r going to be pretty upset with me cause my budget is less than RM150 …but but ..its my fault , forgeting to mention that the purpose of me buying a decent coffee grinder is not to grind coffee bean but for grinding a few ingredients for baking purpose which have to be grind to powdery form. At the moment i’m using the blender which comes with the small pepper grinder ..which i find helpful but the capacity of the pepper grinder is small making it very inconvenient and noisy as well. KF Chan – I’m not sure if Breville is any good as i hv limited knowledge in coffee grinder but i think it serve my purpose of gringing my ingredients in to powder form ..looking at the size and capacity of the product. But do u mind telling me if there is anywhere around Kl / PJ ( PJ would be best as i stay around there) that i’m able to find variety of grinders or similer to breville that i can maybe look at and see if there a right product for me. I only noticed many espresso maker but nothing similer to a grinder. Is there a speciality shop just selling the coffee equitment. Hahah, no worry. Actually if you go to most shopping complex, place like Best, Harvey Norman, they sell those “pathetic” espresso machine like Delonghi, you will find they sell grinder too. For your purpose of grinding pepper, a blade grinder would be around that price. The most common I’ve seen are from Delonghi and Krup. Forget about those proper coffee grinder known as burr grinder. Not sure it will work for pepper. Try Harvey Norman at Ikano Power Centre. You might as well look for a proper food grinder. 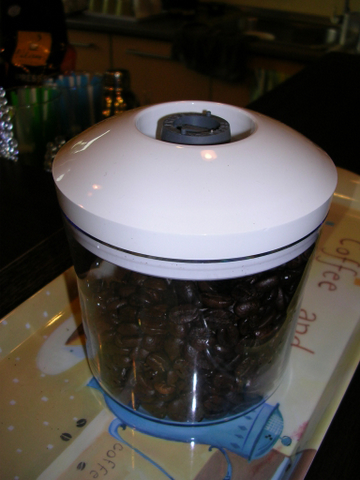 Most coffee grinder at the RM150 price range is quite small. It wouldn’t give you much improvement over the blender I think. thank you ..i will try Harvey Norman at Ikano Power Centre to see if there is a suitable grinder . You have been a big help ..thanks again. I’ll keep u updated whem i buy my new coffee grinder..kay! anyway i’m a so called barista in Starbucks, recently just tasted one shot of espresso from their verismo machine it tasted really weak, practically the coffee taste is just now there. I would like to ask, in Malaysia, where do you find the nice espresso or espresso based drinks other that those franchised coffee store? There are many places where you can find espresso based drinks.. most cafes have them like Dome, Secret Recipe, Yippy Cup and many many more unheard of cafes. hi there kfchan! good to know a fella coffee enthusiast exist in kuala lumpur 🙂 a little bit about meself, i own a gaggia revolution since 2003 and got it while i was in uk. now thinking about getting a decent grinder, is there any in malaysia? i visited etc concept (thanks to your website 🙂 ) and they have ascaso i-1 or i-2 cant really remember. the price is quite expensive also..around 2k+ i think. but on amazon/whollattelove etc the price is around 200 usd only. plus shipping maybe 300 usd even if it is 350usd convert to rm (350 x 4 = RM1400) why o why such a steep difference..perhaps you could direct me in the right direction, is there any other store in KL except etc concept/simplexmaju? really appreciate your help. ps: storing a ground coffee or coffee beans is also a headache. maybe i’ll order beanvac. what do u think? how do u store urs? been looking for a decent airtight/vacuum canister container oso. any suggestion? for rm2000+, maybe can even get mazzer mini (usd 479 from amazon). the problem is they dont ship to m’sia. perhaps other online store do. need to do more research..
well good for you. perhaps i ought to go to singapore also to do some shopping 😉 hehe..where and how much did u buy the coffee container shown on fhm2007, if you don’t mind me asking. is it in kuala lumpur? I think the only place you can buy those containers is at Isetan, KLCC. In fact there are some new versions specifically for coffee. What is your budget for a grinder? Would you be interested in a La Scala M5? I can get it for around RM2K. I have seen it. Excellent built quality. 9KG commercial quality. 58mm flat burr, 1400 rpm and have a doser. Way better than the Ascaso I-1 which cost at least RM1790. Hey how did your coffee blog turned politcal? Or is it election fever? I am interested to get a grinder around RM2k can you advice? Or maybe the La Scala M5. Is it the same with Macap M5? Where can i get it? I got great deal for you. The La Scala M5 is a re-badge of Macap, but I can’t be sure if it is M5 or M4. Please email me your contact number to kfchan7(at)gmail(dot)com. All I want is a good espresso machine….I am so confused! Where do I go, what do I buy??! Please email me to kfchan7(at)gmail(dot)com and tell me your budget. Then I can advise you on what and where to buy. have you heard of kopi 434 in muar? so far their coffee shops only operated in muar area. they home-grown their own coffee there called ‘elephant bean aa’. a so called m’sian version of jamaican mountain coffee. its not a robusta nor arabica beans but called ‘liberica’. they also have arabica green beans imported from central and south america. they roasted their own espresso bean as well. never been there, but looks interesting enough to have own coffee grown here in malaysia. Hi, stumbled upon your site! Great stuff. I love coffee but I think it’s starting to keep me awake at night! you may try to drink coffee that contain lower caffeine such as coffee make up of mainly arabica bean. Instant coffee and our local kopi-o usually contain higher caffeine level. The simplest method to reduce the amount of caffeine you consume in your coffee is to drink a decafeine coffee. Hope this will help. you may try to drink coffee that contain lower caffeine such as coffee make up of mainly arabica bean. Instant coffee and our local kopi-o usually contain higher caffeine level. The simplest method to reduce the amount of caffeine you consume in your coffee is to drink a decaffeinated coffee. Hope this will help. I have a unit of of SAECO Classic (wood motif panel) that has been serving me extremely well for the past few years. Recently, I have bought myself a GAGGIA and would like to see if there is anyone out there who is looking for a pre-loved machine. If you are interested, please send me a message at wongcw.my@gmail.com. Bro…you’re indeed rare species…lol…it’s so hard to find anyone that’s crazy enough about coffee to start a blog on it (ahem…I mean from malaysia)…kudos to you! Have a question…do you have any suggestions on where to find coffee beans in KL? I’ve been making my own press but will be trying my hands at espresso. Sadly, I only use beans from Starbucks as I do not know of anywhere else to get them (the other option that I know of would be Coffee Bean). Etc at the curve sells Coffex & Bristot beans. They are not the cheapest, but definately cheaper than the cafes. Wee Chuan provided cotacts of Illy wholeseller that sell in a bag of 3kgs. I don;t mind sharing as I want to try Illy out. I think KF sells Highlanders beans. My favourite is the Bristot. Etc grinds for you also if you require. Hilsy, thanks for your recommendation. Just perfect timing as tomorrow I will be going to PJ area….hopefully can make a trip to the curve to get it. Talking about ETC, I used to buy Coffex Superbar and Bristot Tiziano from them. Downside is the beans are in 1kg packs. You’re right, unfortunately they come in huge packs!!! I wished they had smaller packaging though. I have seen the Krups gvx2 burr grinder costing around RM250.Is it worth buying for use with espresso machine? The Krup gvx2 is quite useless as an espresso grinder. and do you know where can i buy a milk tempreture. I agree with kfchan – the Krups gvx2 is not good. I have one for home use, it has many idiosyncrasies, grinds uneven, overheats if grinding too fine, you have to shake it constantly so the beans will fall into the blades and you need to hold down the bean hopper otherwise it turns itself off. HA what a joke – but besides all of that it will grind beans in small quantities for household use only. Hi, KF Chan. It is indeed a surprise to stumble upon your site while searching for coffee machines available in Malaysia. I’m a Form Five student studying in Ipoh. Working at Starbucks after SPM is sort of my dream job, to be able to experience coffee and perhaps, learn latte art, my greatest interest. But there are no vacancies available and now I plan to buy a coffee machine/coffee maker (whatever it is called). However, being a student, my budget is quite limited (about RM1000-RM1500). And I hope that you will be able to suggest any coffee maker within my budget that is decent enough for my “freshman” coffee experience. I’ve been searching for them from Senheng (http://www.senheng.com.my/) and HSL (http://www.hslene.com.my/default_ca.htm). But the coffee makers offered there kinda confuse me since I dunno which one is better. Also, would you please suggest any grinder that is appropriate (let’s say RM 1800 including coffee machine) if it is possible? Btw, I buy my coffee beans from Starbucks (since there isn’t any proper coffee retailers in Ipoh). Really interested to know more about coffee and hope that you might make things easier for me. Many thanks. The only option available to you is the Gaggia Evo (RM1200) + Gaggia MM grinder (RM6xx). They should be around RM1800. These are not really great but just good enough for you to play around with till you upgrade them. They are tedius to use and can be frustrating. The Gaggia Evo espresso machine is not bad if you want to learn to make espresso. Frothing milk will be challenging. Unfortunately, some of us with Silvia machines already sold them off. And please forget about Seng Heng or any electronic electrical shops. You can’t expect to find any real espresso machines there. Hello there, I’m looking for a decent coffee maker that cost below RM300. Do you have any suggestion pls?”?? It need not be to make 10 cups of coffee. around 5 to 8 cups will be enough. Thank you so much!!!!!!!! ps: Starbucks came out with a travel french press. what do you think of it? The only coffee maker below RM300 that is decent and can make a few cups (5 small cups) is a french press. To make 2 cups and very convenient and very decent coffee would be an Aeropress that cost RM185. Go and get Aeropress, the best device under RM200….the result is better than French Press…..hands down, KF & I both own one. Get it from KF if you need one. Wah…. So many things to consider…. Technical stuffs somemore…. ><… An Aeropress? That sounds simple enough for me I guess. Anyway, what's the difference between the coffee brewed using Espresso machine and the Aeropress?? They are totally different products. Espresso machine makes espresso and espresso based drinks like cappuccino, mocha, latte etc. Aeropress makes plain black coffee the aeropress-way. When you start a cafe, make sure you offer good coffee. We always wish for more place to go for good coffee. Yuh Wen, coffee scene in our neighbouring countries are miles ahead of us. So we welcome you to improve the coffee scene together! I read in TheStar newspaper that you have a cafe in Section 14 PJ. Whereabouts it this? And the name of your cafe please? Your kind advice is muchie muchie appreciated! Bar 14 Espresso & Cappucino maker. Do you think this model is better than EC7? I thought of changing it. I think the size is almost the same. Need your advise. If you plan to make delicious coffee, you best forget about Delonghi. Delonghi EC7 is a toy. It cannot make you good coffee. It is not just about the pressure. There are many many things wrong or insufficient about these machines. If you want to enjoy good plain coffee, there are many cheaper brewing methods that cost between RM150 to RM300. But if you want to experience good espresso and cappuccino/latte, you need to be ready to invest between RM2500 to RM7000. I say “INVESTMENT” because these are machines that can last you many many years and make you really good coffee. Some people have used their machines for 10 years plus. Just discover your page today. It’s really good to know there’s a lot of people who sharing the same passion with me. so i’m not the wicked one, LOL. I am a coffee lover and look forward to my strong cup (sometimes 2 cups) of flat white every morning to kickstart my day. I have a delonghi magnifica rapid cappucino brought in from singapore 2 years ago. I get beans (my good source is from Cofffee Ritual in PJsec14 and BSC Ogourmet). I have a problem with my delonghi… the drip tray inside the machine gets filled up more than the cup outside each time it operates. Drip tray overflow when I make more than 1 cup of espresso. I’m pretty sure that is not common with delonghi machines; there was a 1 week period that it gives out perfect crema coffee withstanding 10 cups of coffee without overflowing the driptray, I was so happy! But it’s back to overflowing now with every 2 cups .. have you tried these machines before? Any suggestion as to what the problem could be or it’s a malfunction? Otherwise if you are going to tell me to move on from this, can you recommend a guaranteed reliable espresso machine with built-in grinder that will last me for a few years (what brand, budget and where)? Incidentally, there are 3 good coffee places that can serve NZ/Australian standard flat whites.. Coffee Ritual in Sec14, PJ; La Bodega BSC and Espressamente Illy! I’m interested to know if coffee is actually grown in Malaysia? Currently i’m looking for a espresso machine for own consumption. Besides Gaggia and Delonghi, do you have a better suggestion? My budget will be around 2.5k which should includes machine and grinder. Also if you could advise where can i get coffee beans besides Starbucks. Hey, are you still doing coffee thingy? I am looking for advices and stumbled upon your site. Hi, where can i buy a coffee tamper ?? stumble upon you page today while searching for coffee making machine for my office. Was initially asked to buy Krups by someone, but after reading your comment on it, thank god I haven’t buy one. What’s your best suggestion for a coffee machine brand that can make up to 20 cups of espresso’s? And do you know how can I get it here in Kota Kinabalu, Sabah please. Thank you very much .Your page is most helpful. Ascaso dream cost how much.”? I saw it in penang and I did try the coffee with this machine is very good so plan to buy one but it cost rm3800 so just wonder if I can it cheaper else where . which directly ship the stuff to you. In regards to coffee beans, I’ve tried Plan B roaster at BIG, not bad. If you haven’t got the answer yet : Yes, it is a rare bean called liberica, mostly grown in southern West Malaysia. Do you know where I can get green beans? I want to know where i can buy green beans and roaster marchine. Anybody know where is Barista Training at Penang? I am looking for a fully automatic coffee machine, able to server 50-60 cups of coffee [and other variations] per day. I’ve seen JURA IMPRESSA Z9. Are there other comparable brands ? Also, most coffee machines pressure bar is about 15-16. Can get anything higher ? Do you sell breville 870xl? And what is the price? We only sell Breville BES 920. I am doing a power point presentation about COFFEE and am trying to get some information on the HISTORY of COFFEE growing in Malaya/Malaysia. first of all, thank you a lot for providing this kind of help – it is very useful. Hello everyone. I have just moved to malaysia from the united kingdom. are there anyy specialist coffee shops who sells a variety of roasted ground coffee (e.g colombian, brazilian, ethiopian etc) and flavoured syrups (hazelnut, cinnamon, amaretto etc). if yes, are there any around the ipoh area? Wherever you reside, it is likely that we are able to present an amazing teacher within your area and you. It is possible to take classes within the privacy of your household or at your trainer’s site. By searching inside your ZIP code to discover teachers towards you start. in the gym. & most not really inside your roleplaying krav maga gymnasium. Dear KF Chan, im letting go my zoe sanremo 2 grouphead espresso machine. Can u advice where i can find a proper and serious buyer? passion is tempered with reality iis kinda boring.